Great article about Innovas Technologies in the Corridor Business Journal by staff reporter Dave DeWitte. 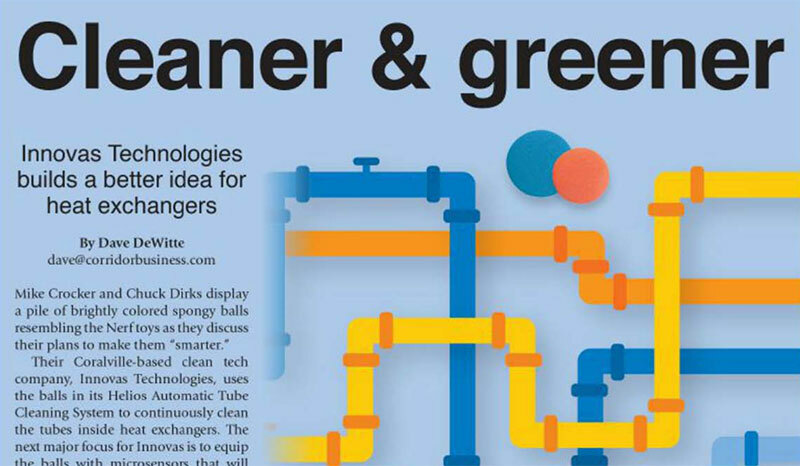 The article outlines a bit of our history and financing and looks into our efforts to develop an intelligent sensor ball for monitoring the internal environment of heat exchanger systems. Read the article here or download a PDF below.